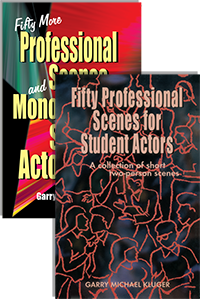 Learning to prepare an artistic work for performance takes practice, and we have the perfect resources to build those skills. 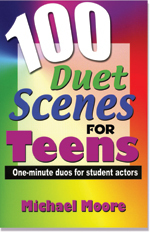 Duet scenes, whether on the stage or in the classroom, create a unique connection that invites a pair of actors to respond directly to each other’s meaning and intent. 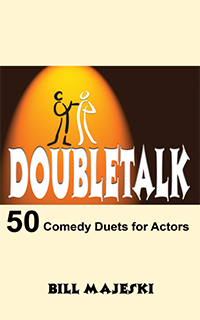 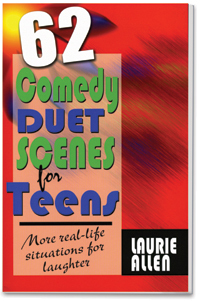 These duet scenes are perfect for Thespian festivals, forensic competitions, and classroom work on scene and character development. 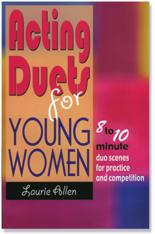 Pioneer Drama Service is pleased to offer 21 books of duet scenes and dialogs for rehearsal, auditions, and contests.